Taxi Service in Chandigarh: 1313 Taxi has proved to be the best and affordable taxi service in Chandigarh. Because of our unique specifications, we are commanding the field from the last few years. We have experienced and analyzed the field as closely as to deliver quality taxi services to our quality customers. 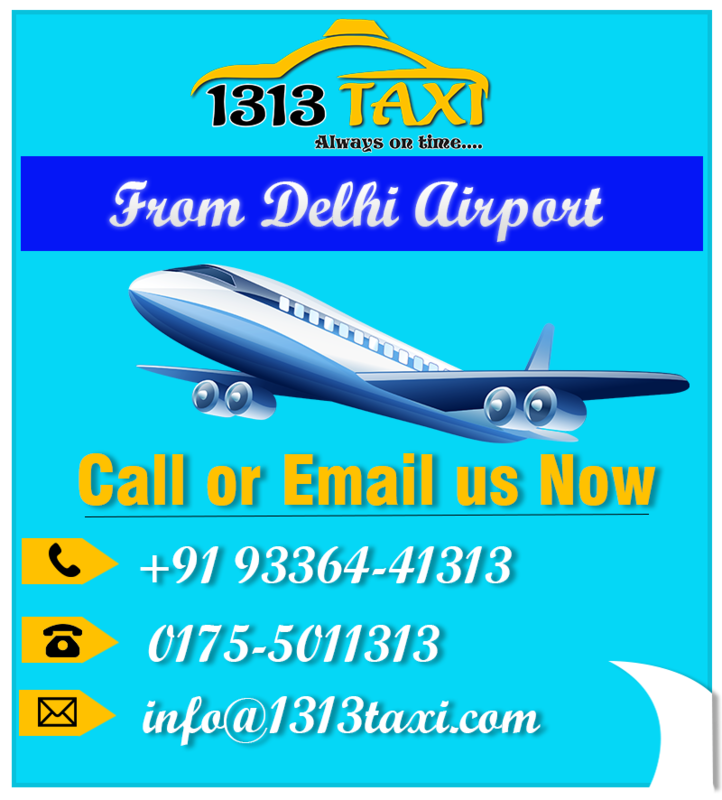 1313 Taxi has an attractive base price along with timely and comfort one way taxi service in Chandigarh. Our passionate supporting staff and drivers let our customers feel at home while being served. We believe in quality rather than quantity to make up our services as to the international standards. As we all know, Chandigarh is the most prominent, attractive and beautiful city located in Punjab. It is also the capital of Punjab and Haryana as well. There is a number of tourist places located in Chandigarh and thousands of tourists around the world visit this beautiful city every year. Some of the famous beautiful places are The Elante Mall, Sukhna Lake, Rock Garden, Rose Garden, Government Museum and art gallery, Punjab University and leisure Valley etc. Whenever they come to Chandigarh, their first requirement is always an affordable and quick taxi service in Chandigarh. 1313 taxi match their demands beautifully. As we have explored years of experience and well known to the basic traveling requirements of the tourists. Our experienced drivers are very well known to all of the above-described places and can visit them hassle-free in the Chandigarh taxi service. They have also the abilities to guide the passengers about their journey routes and places. 1313 taxi has an excellent supporting staff, which just goes through the visitor’s traveling requirements and chalk out a fully completed route map. We have a firm taxi network and have taxies available for every place 24*7. Now if we talk about the taxi booking in Chandigarh, then it is going to be as easy. As we all know, today almost everyone is an internet user. All have their personal smart phones and considering this thing in mind, we have the easiest way to book cab service in Chandigarh. 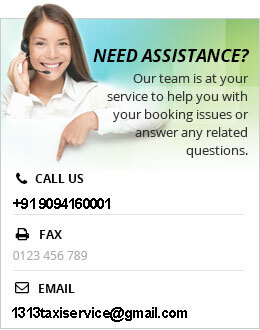 Just search some common keywords like taxi service in Chandigarh or online taxi booking in Chandigarh etc. and that’s all you have to do. Our quick Chandigarh cabs will start follows your address. Because we have an excellent and quick Chandigarh to Delhi cab. Along with these, you have other options also to book a taxi in Chandigarh, like an SMS, e-mail and of course the direct phone call. 1313 Taxi provides its customers the chat option with the drivers so that they can remove their queries about the journey if they have any. Being the best and reliable taxi service in Chandigarh, we strongly believe in quality management concepts, especially the Kaizen philosophy. And are promised to deliver our customers the quality Chandigarh to Delhi taxi service. We have a team of professionally trained, well-spoken and well-behaved drivers and other staff members. All are passionate about their work and tried to make your journey with us a special and memorable one. We follow strong and punctuate time management system. None of our vehicles will run late besides their pre-fixed schedules. 1313 taxi has a huge collection of vehicles as four-seater, six-seater, eight-seater etc. Just tell us your vehicle requirement and we will offer you the same cab service in Chandigarh. Most importantly, we have the motto “100% customer satisfaction.” As we know that customers can only be retained for the second time if they are fully satisfied with the earlier taxi service in Chandigarh.